Karnala is one of the most popular getaways from the city of Mumbai and Pune. The fort city is located in the Raigad district of Maharashtra and is well known for its serene and natural beauty. Karnala is well known for two other factors, one is the 13th century fort and the other is the bird sanctuary which is home to various native and migratory birds. Dense forests and hilly regions make it a place which is considered as a nature lovers abode. The unspoilt calmness of the region has also made the place an ideal escapade for the lovers of nature and for those who seek seclusion away from the hustle and bustle of the metropolitan city. By Road: One of the best ways to reach Karnala is by road. The town is well connected by roads and there are regular buses which operate from major cities in the state and country to Karnala. Best Time To Visit Karnala: Karnala is a year-round destination. Route 1 would take you approximately around 1.5 h to reach Karnala, via the Mumbai-Pune Highway. The route takes you through the well-known towns of Navi Mumbai, Panvel, etc. The roads are well-maintained, which helps one to cover the distance at a good pace and the destination is about 48.3 km through this route. If you opt for Route 2, it would take you approximately 2 h to cover a total distance of 51 km from Mumbai to Karnala, via the Mumbai-Pune Highway. An early morning start from Mumbai is a must for two reasons, one to beat the city traffic and second to beat the highway traffic. Once on the highway, there are plenty of options for one to have a filling breakfast at, which begins from the yummy Vada Pavs, Masala Pavs, Poha, etc., to almost any cusinie throughout the highway. Panvel is well known for its forts which dot the city. It is known as the gateway of the Konkan coast and is also one of the most crowded cities of Navi Mumbai. The city is said to be more than 300 years old and is developed around the trade routes, which were first established during the Mughal rule and later landed in the hands of the British. The city is home to two most prominent Ganesha temples in Maharashtra, Ballaleshwar and Varadavinayak. Balleshwar temple is one amongst the eight temples dedicated to Lord Ganesha. The speciality of this temple is that the lord is known by his devotee's name "Ballal". The Varadavinayak temple is also one amongst the eight temples dedicated to Ganesha, which was built in the year 1725 AD by Ramji Mahadev Biwalkar. Karnala is a canopy of green, which is around the city of Mumbai and Pune that takes you closer to Mother Nature and allows you to explore the place to the fullest. One can stroll around the place and breath in some fresh air and energize oneself. The Karnala fort here is also known as the Funnel fort, which is situated within the premises of the Karnala bird sanctuary. Karnala fort consists of two forts; out of which one is at a higher level and other is at a lower level. The trek to the top of the fort takes atleast 2 hours to reach and a little lesser while walking back down. The trial is quite easy and not a very steep one, although it definitely gets very slippery during the monsoon. 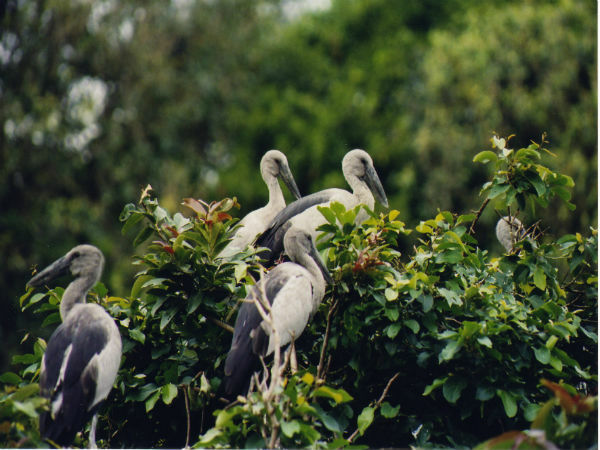 Next is the Karnala Bird Sanctuary which is small in size and covers an area of 4.8 square km. The sanctuary houses as many as 150 species of resident birds and 37 types of avian migrants. The sanctuary comprises of a moist deciduous forest and the forest department has taken all the efforts to educate the visitors by tagging several trees inside the forest.